Hey guys, it's been a few weeks since our last update. Fortunately, that's not due to a lack of work! Today we're bringing you some great updates and bug fixes. We're really excited with the avenue suggestions have been going, and we're excited going forward. In other news, our old friend Ned has resigned from his staff position. From all of us on the Staff team, we wish you the best Ned, and hope to continue seeing videos and guides from you. Password hashing has been updated to 2017's standards. 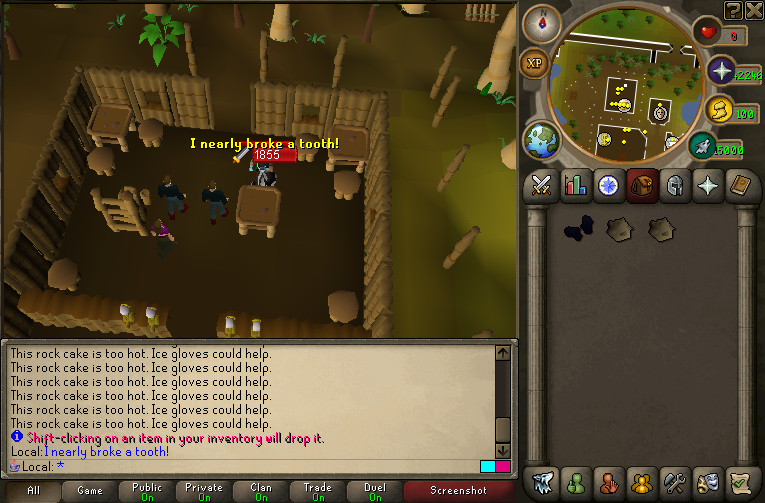 Vote shop logs - will give us information on which items are most popular/least popular going forward. Vengeance timer will appear in both fixed & resizeable modes after being cast. We would like to expand this system in the future to include more cooldowns. Drop Interface now properly displays stacks of items. Drop Interface will let you know if no drops were found. 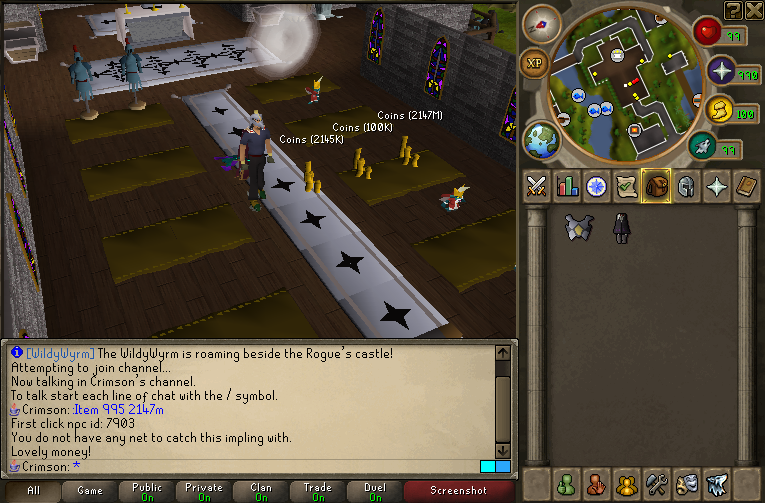 Drop Interface now includes many of the reported missing NPCs. Drop Interface will remove old NPCs from list upon new search. Fixed a null issue while in certain locations. Drop rates for Venefica corrected. Low alch now gives 60% of an item's value (high alch is still 75%). DFS now has a 2 minute cooldown on it's operate. 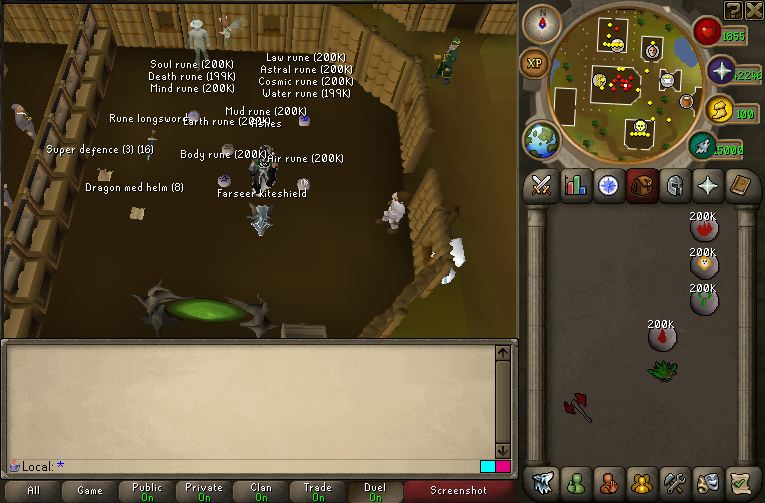 DFS has had it's max hit increased to 250 (constitution) to match RS. DFS will always hit a whole number. DFS can no longer be used without proper charges. Rock cake added to the bar at home. Features quirky text, a left-click to remove 5 damage, and right click to lower to 1 constitution. Ice gloves now have a purpose... See above @Milk Man. Ice gloves are now untradeable/unsellable. 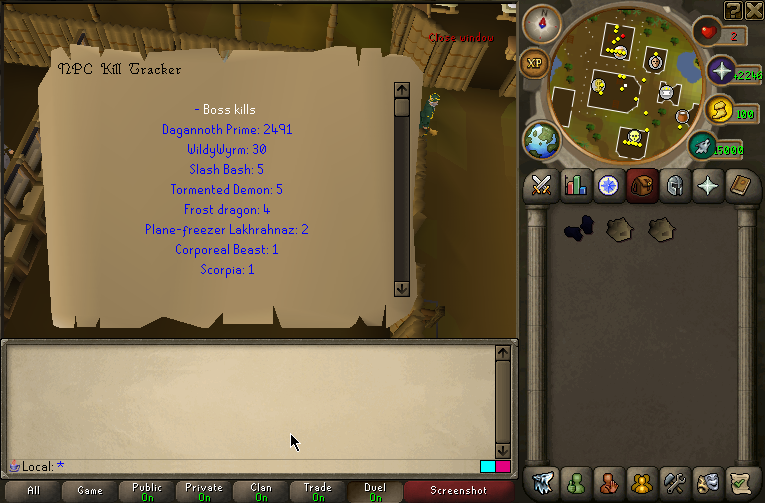 Kills tracker added to the Slayer skill tab button. 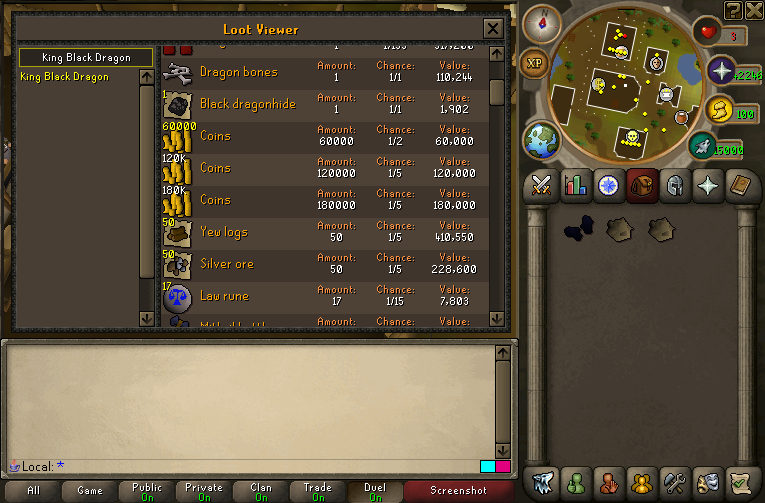 Dagganoth (i) rings now have 900k item value. Crimson's Katana item worth is now 10m. Crimson's Katana has had it's high stab bonus swapped with it's (previously) lower slash bonus. Steel Tempest item worth is now 16m. Cannon notification when at 15/5 cannonballs. Type "groundtext" in client console to toggle the above effect. Ground Items now display the amount next to stackable items. Black Dragon has proper animations. Void body/legs can now properly be substituted for the deflector. 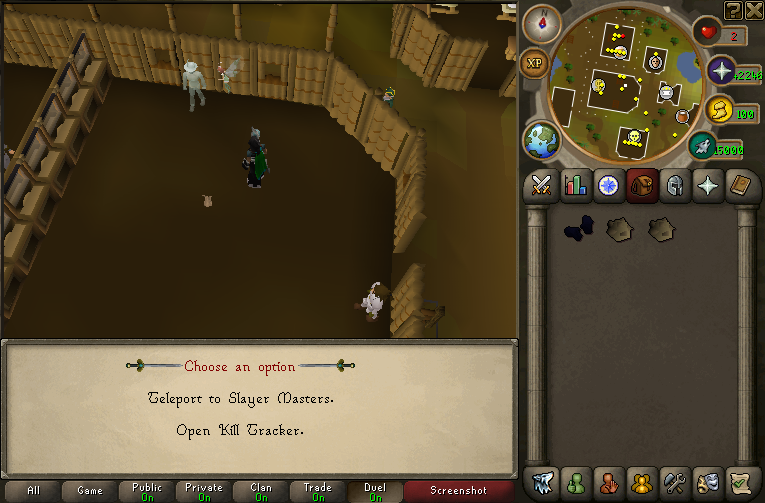 Monkey Skeletons now properly renamed from "Skeleton"
Slayer masters can now be right-clicked to show which difficulty task they assign. Easter Bunny Jr renamed to Brandon Jr. This is freakin OP update, thank you for all your hard work boys.